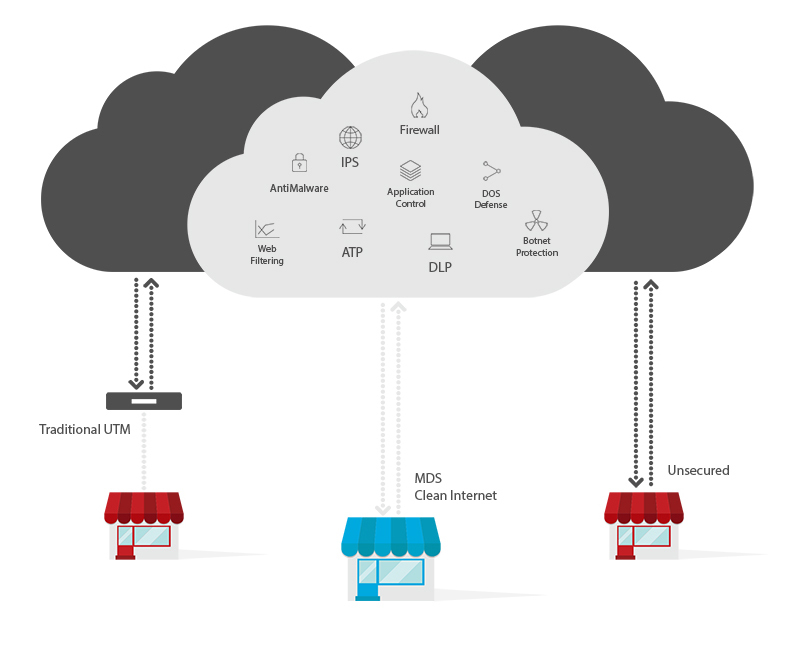 The MDS Cloud is a multi-layered, sophisticated security stack that inspects all traffic at wire speed using up to a half dozen industry leading security engines. Once connected to the MDS Cloud via a Cloud-Link® or your current gateway, all data is tunneled to the MDS Cloud to go through a vigorous screening process detecting and blocking any malware, malicious links/content, threats or intrusions. Everything happens in the MDS Cloud, so no threats can get close to your network or your data. This vigorous filtering process is applied to both incoming and outbound traffic. Anything going in or out is thoroughly cleaned and your network is protected. Test your defenses with our free comprehensive Security Test! Watch the 60 second video below to find out how you can protect your digital assets. 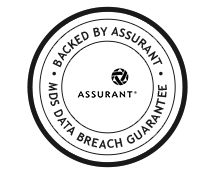 Free MDS Cyber Breach Guarantee, backed by Assurant, for all commercial V-Shield Subscriptions. We are so confident in the cybersecurity we provide our clients that we include up to $50,000 of coverage to help mitigate costs related to a data breach incident.